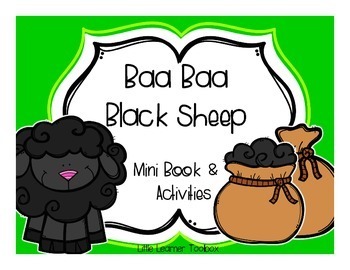 These foldable ‘Baa Baa Black Sheep mini books and sequencing activities are a fantastic way to get your kids busy with hands on activities as they explore this classic Nursery Rhyme. 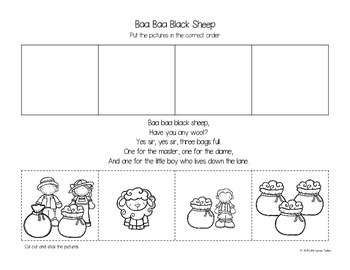 Mini Books: Every student can have a personal copy of the nursery rhyme, for small group instruction, or during a lesson. 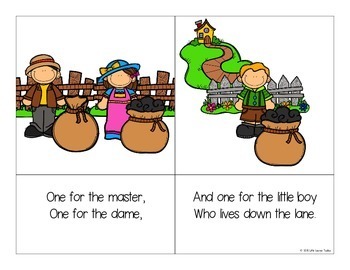 Mini books give your students an opportunity to get hands-on with the nursery rhyme. They can make the book, color the illustrations, read it and share it with their classmates and at home. 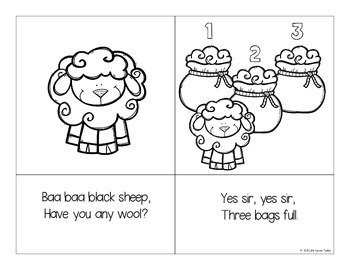 This pack includes 3 different Nursery Rhyme mini books, so that you can choose the book most appropriate for your students. Each book has directions for making them.